Reporting is a vitally important part of Pipeliner, and we have made it available to all users, not just CRM administrators. 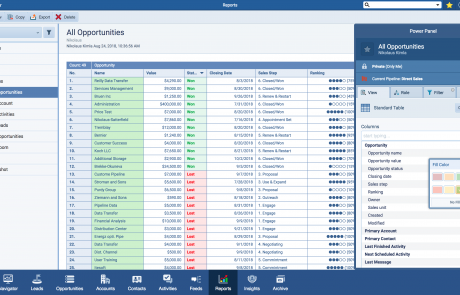 Sales managers can easily create their own reports and monitor their teams in real time. But reports are not just for sales management—salespeople can greatly benefit from having an easily accessible and customizable sales report at their disposal. This allows every member of the sales team to efficiently manage their own pipelines. 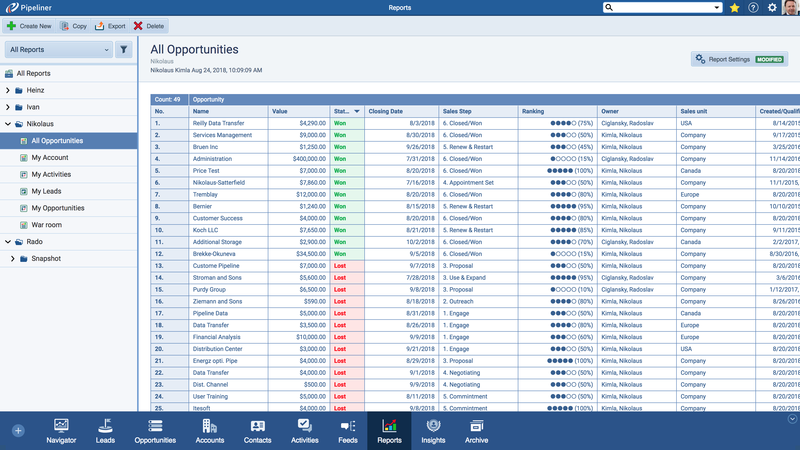 For nearly any view in Pipeliner, or for any filter you have set up, you can immediately generate an on-demand management report. It can be saved so that it can be referenced or recreated at any time. 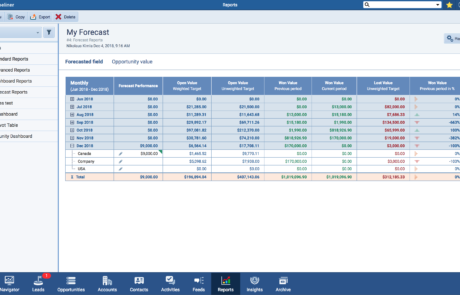 If there is a single element that a company really needs to be accurate from a CRM application, it is a sales forecast. 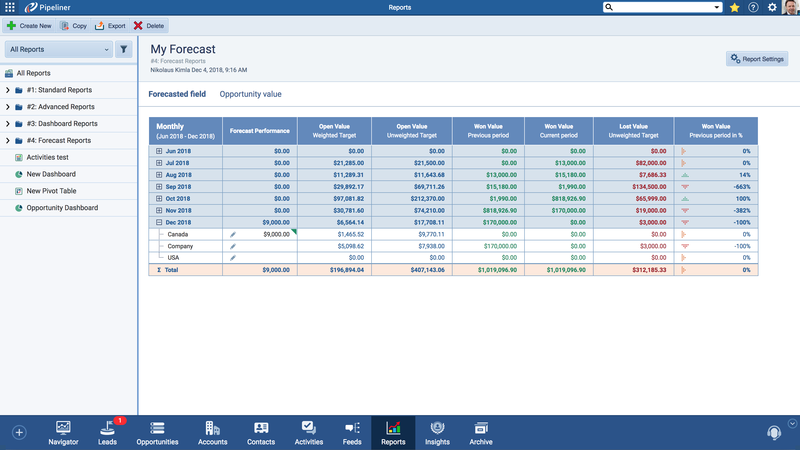 Pipeliner CRM Forecast Reports provide powerful setting of quotas for all team members, and then tracking quota achievement in real time. Reports can be shared only with specific team members, or across the whole sales unit, depending on your preferences. Users can then work with that report in Pipeliner. 24 Popular Preformatted Sales Reports give you mix-and-match views to monitor up-to-the-minute sales performance. 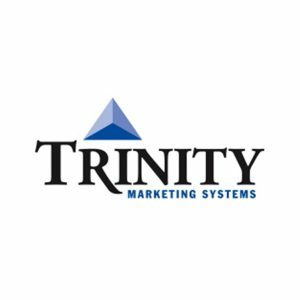 Detailed reports, in-depth comparisons, evaluations, and statistics are all user-managed. 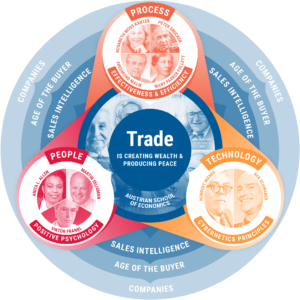 Part of being able to deal with the complexity of B2B sales—on both the sales and the buyer sides—is the use of reports to better chart your way. 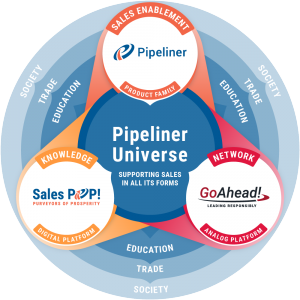 Pipeliner makes these insights visual, and yet another example is our KPIs feature. Visual Sales KPI reports form a visual real-time view of sales at any given time. We deliver 27 popular, pre-built KPIs that you can use to immediately analyze business for a single rep, a sales unit or territory, or a whole sales team. With the release of Pipeliner CRM Chronology, you can now create an Advanced Report—an entirely new dimension for Pipeliner CRM reporting. This feature allows you to you combine any record type (opportunities, leads, accounts, contacts, products, feeds, notes, activities) or report type (standard or pivot) into one single report, using our new Report Builder. Another feature introduced with Pipeliner Chronology, Report Builder is a visual editor for reports. 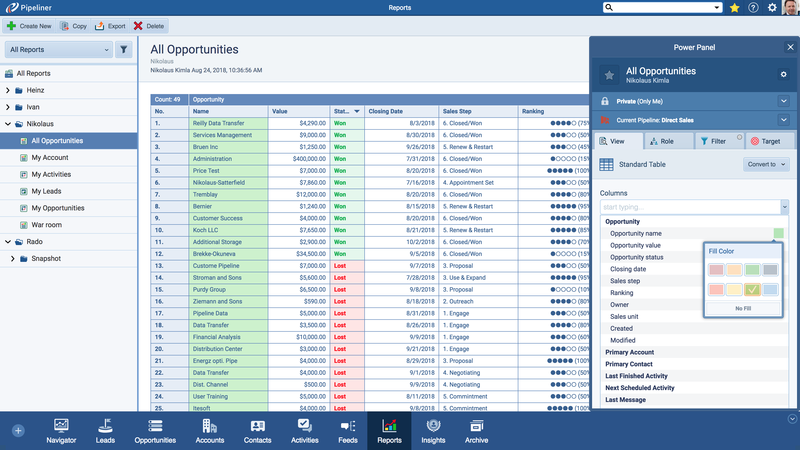 The Report Builder screen lets you work with opportunities, accounts, leads and contacts, and define their relations. You can also work with report fields, and define custom filters for each report type. 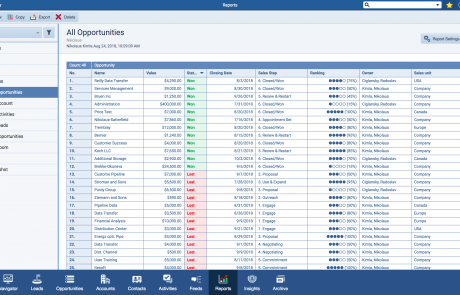 With a number of our reporting features, you can now add color to columns. Choose from eight predefined colors for column fill. Add for additional focus to detail for you and your users–another totally unique Pipeliner CRM feature. This feature allows you to lock a row or column in place, making it always visible when scrolling vertically or horizontally through a report. 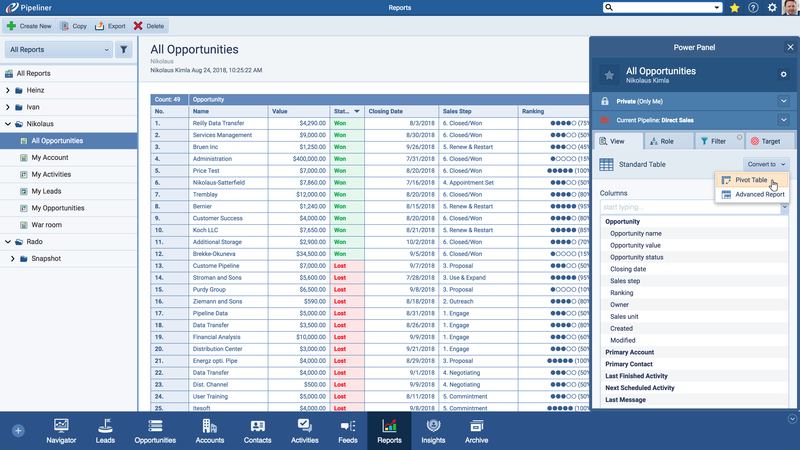 Pipeliner CRM Reporting is designed to be just as useful for salespeople as it is for management. Every member of the sales team can access, set up, and modify their own Reports without admin privileges, technical support, or coding skill. 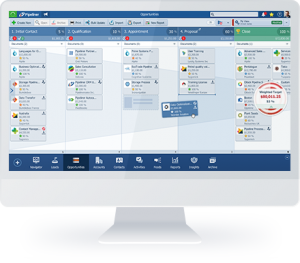 Pipeliner CRM’s highly visual and intuitive user interface will help you understand the flow of information and use all data inside your sales pipeline to your benefit.